Hi everyone! 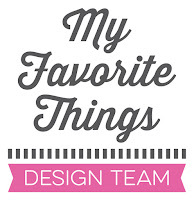 I’m back with a new card for my collaboration with Picket Fence Studios. I started by creating a rainbow background using watercolors. I stamped the sentiment using Versamark to black cardstock and heat embossed it with white embossing powder. I adhered the strip to the bottom of the card front. 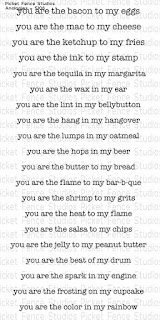 This sentiment set is so versatile! It’s a MUST HAVE set for sure. I then stamped the character in black ink and colored it in black and grey shades using alcohol markers. I cut it with scissors and adhered it with foam pads for more dimension. 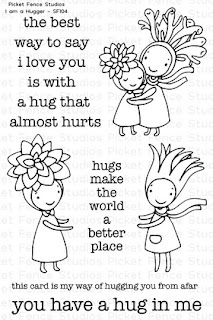 The image is from the Sunshine Friends - I am a Hugger. To finish off my card, I added a few adhesive pearls and a red heart. Wow, this is amazing Francine!!! 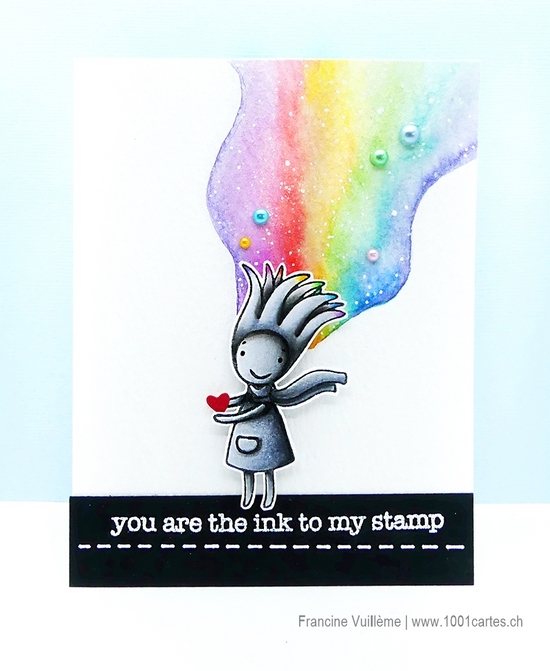 Love the watercolored rainbow! So cute and clever, Francine! I love your watercoloring, and that you kept your design CAS! Elle est trop belle, cette carte !! Quelle magnifique utilisation de ce set ! De mon côté, comme je vis côté romandie ... je n'ose jamais utiliser les "sentiments" en anglais ... et je le regrette bien !